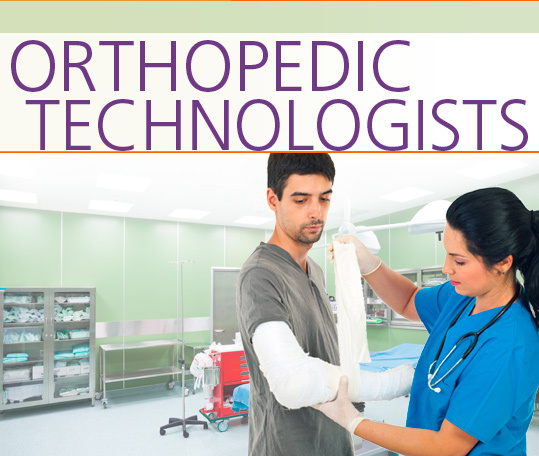 An Orthopedic Technician assists physicians and nurses with the care and treatment of orthopedic patients, which includes castings, bracings, the application of traction, the changing of casts and splints, and wound care. In the Orthopedic Technicians Career Extension, students learn how to interview for a job and discuss their education, training and work experience. They learn about job responsibilities and work conditions, and discuss equipment and supplies. They learn about putting casts on patients and to discuss the cast’s effect with the patient. They learn how to deal with feedback from both clients and superiors and talk about their strengths, weaknesses and goals for the future.